Sticky Ginger Cake – October Bake Off! 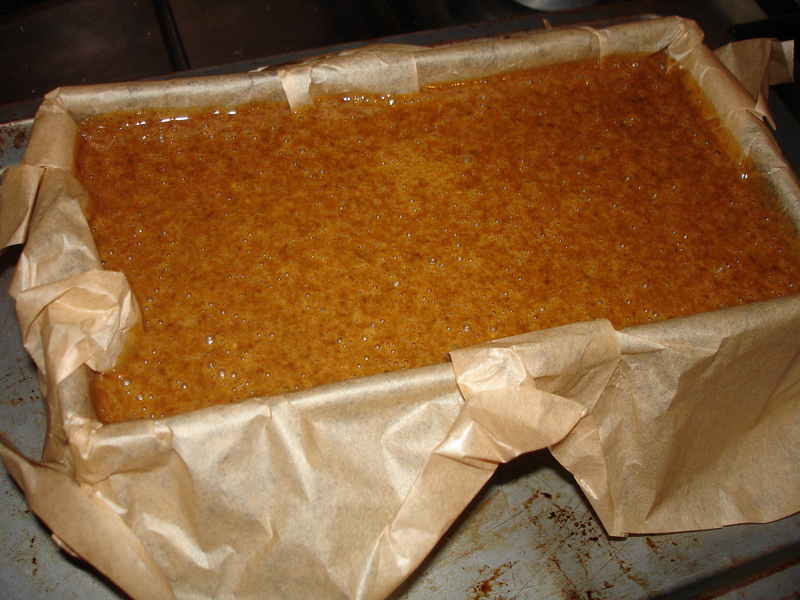 Anyway, October’s Bake Off recipe is Sticky Ginger Cake – servable with custard, which sounded all very nice to me, especially at this time of year. Anyway, this cake was enjoyable but simple to make – I was slightly nervous as I wasn’t sure how much my (slightly fussy) hubby liked ginger, and it seemed like quite a lot of ginger that went in! However, by the time the mixture was made a quick taste confirmed the ginger wasn’t overpowering and I was slightly more confident. Kind of like the elephant man in cake form! However, all was not lost – after a bit of trimming it was looking a bit more acceptable. And, most importantly of all, it tasted GORGEOUS! 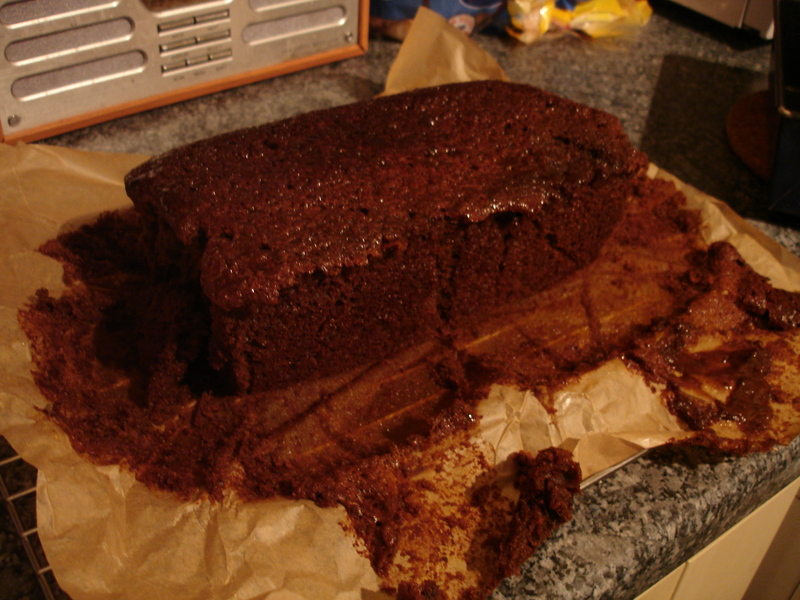 Really moist and delicious, and, in case anyone was worried, not overpoweringly gingery! 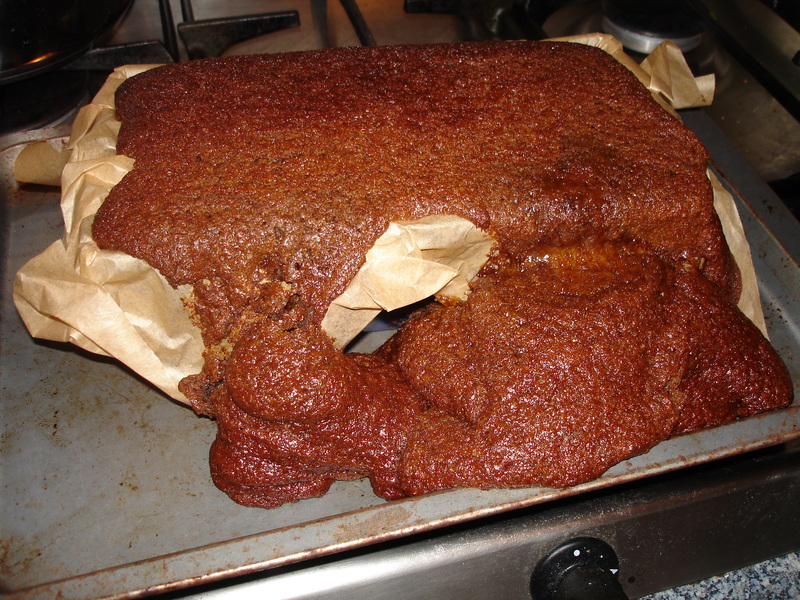 So, thank you Amy for an excuse to try another delicious cake recipe, and may I just stress the slightly alarming appearance was entirely of my own making, and definitely not a fault in her recipe! Yep, I think I might make it again while I’ve still got the stem ginger to use up – hopefully less explosively this time! I thought mine was bad – it doubled in size in the oven when I made a gluten free version! I love stem ginger, this cake was a great use of it.